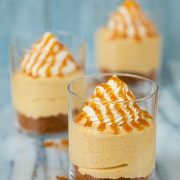 Since I still had plenty of pumpkin left from the last pumpkin recipe I just posted (I always just by the big can), I decided to post another pumpkin recipe I’ve been dying to try. 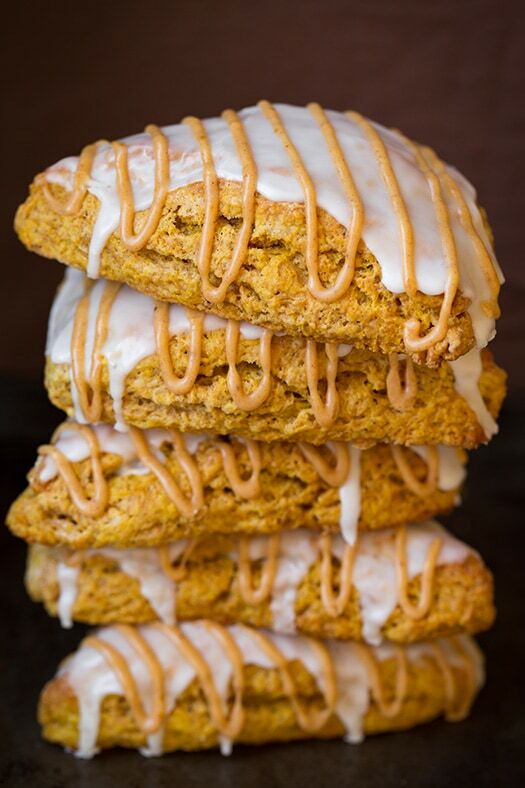 Seeing as Starbucks isn’t currently selling pumpkin scones, I can’t say these are identical since I can’t do a side by side comparison, but I did go off the ingredients list they have posted on their website so they should be very close. 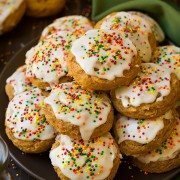 Once you try these you might likely even say they are better! 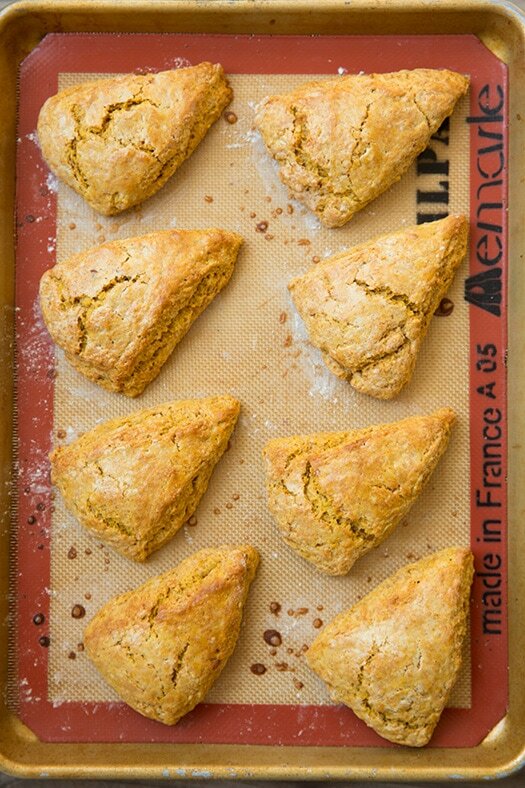 These are one of the softest and moistest scones I’ve ever had even though there is no cream in the dough base (unlike a traditional scone that uses about a cup of cream). 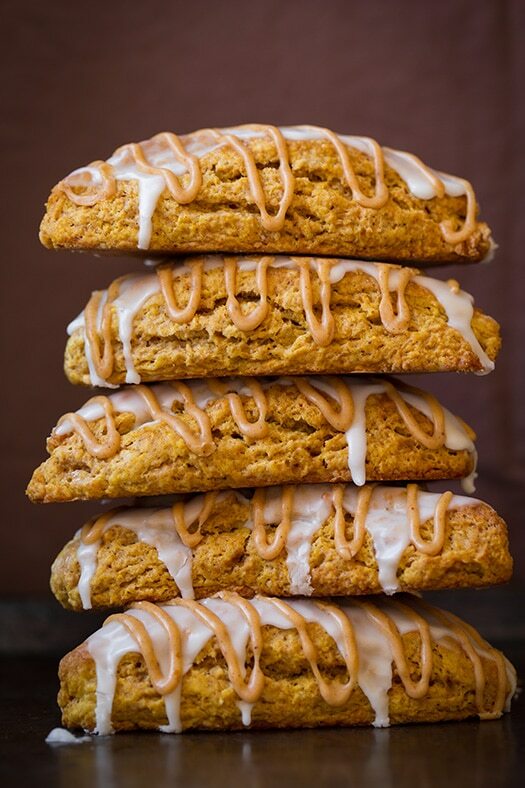 They are pretty much my idea of the perfect scone, especially considering they are pumpkin and we all know how much I love pumpkin baked treats. How could these not be good though? 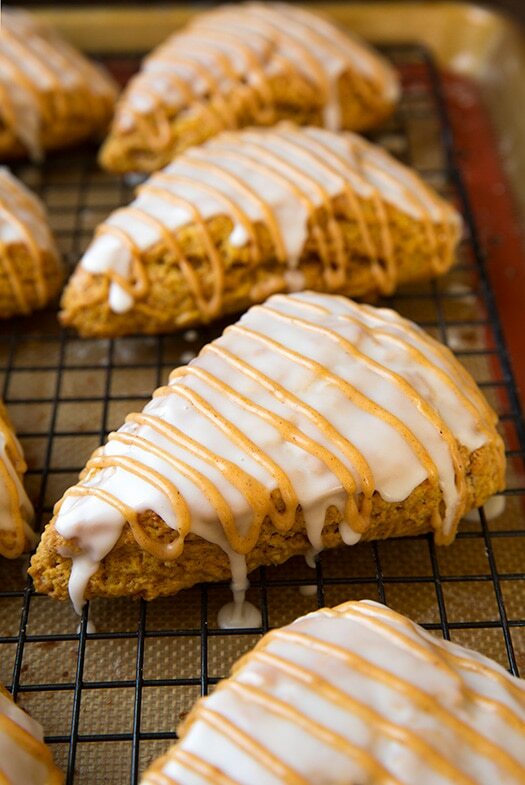 You get this deliciously spiced pumpkin scone topped with not just one icing, but two! 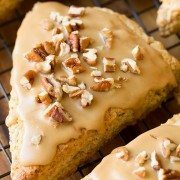 I’m sure these are going to be a new favorite Fall baked good for me! 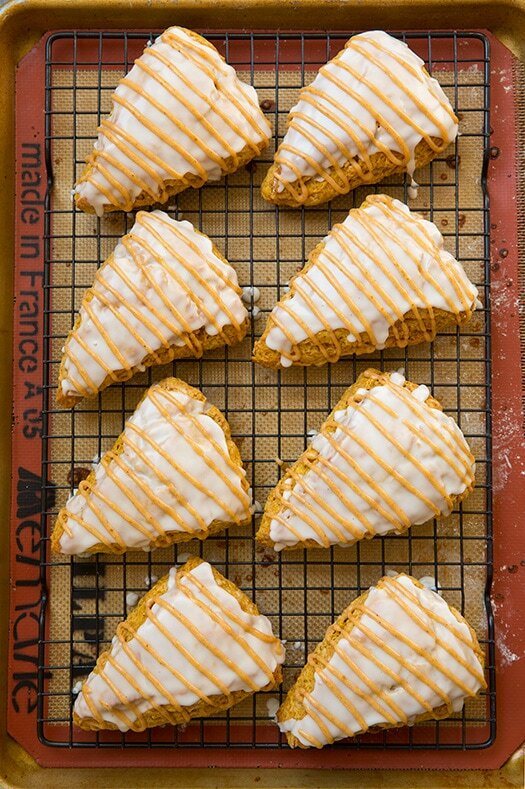 These delicious pastries are likely to become a new favorite autumn treat! 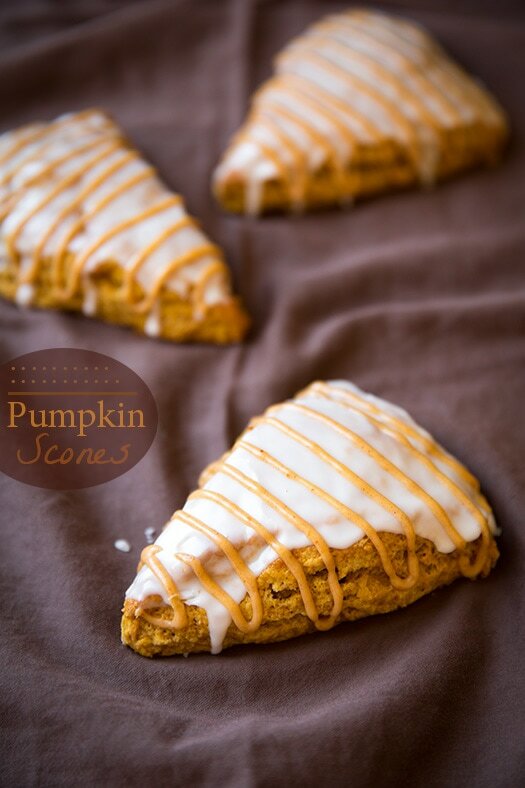 They're loaded with pumpkin and spice flavor and are even better than Starbucks! Preheat oven to 425 degrees. 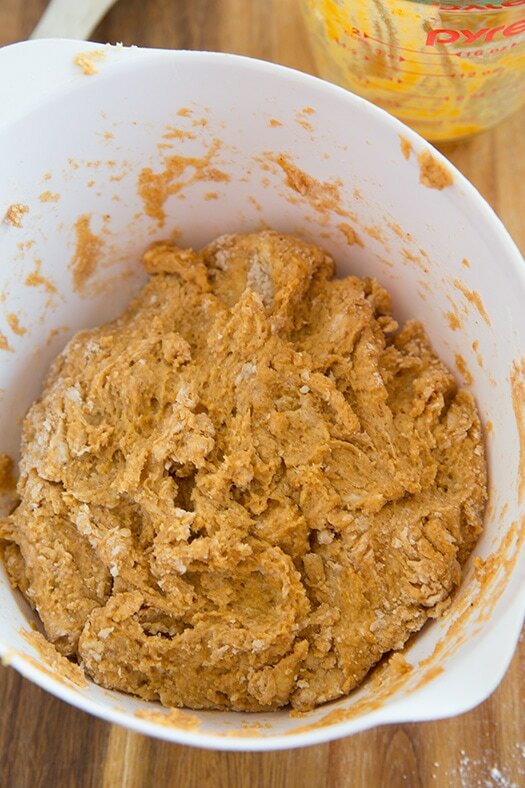 In a food processor pulse together flour, baking powder, baking soda, salt, cinnamon, nutmeg, ginger, cloves, brown sugar and granulated sugar until well blended (if you don't have a food processor you can whisk by hand in a large mixing bowl, then cut in butter with a pastry cutter). Add butter and pulse mixture several times to cut butter into mixture (large pieces of butter should no longer be visible). 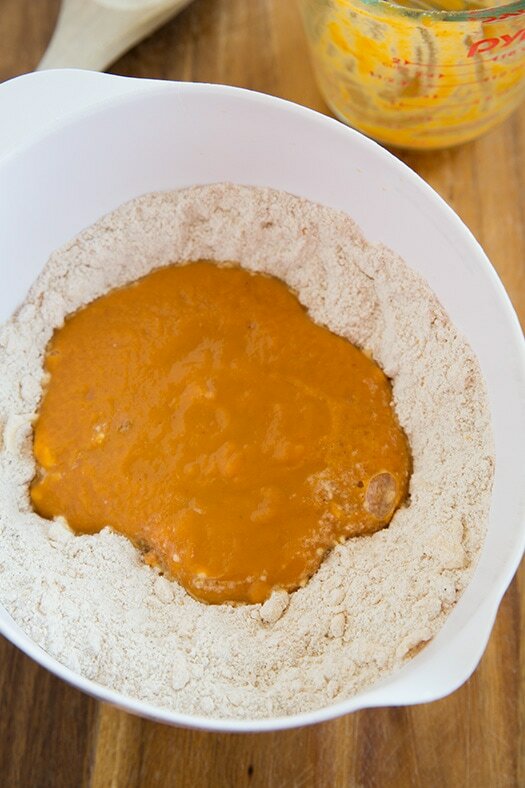 Pour mixture into a large mixing bowl and create a well in center. 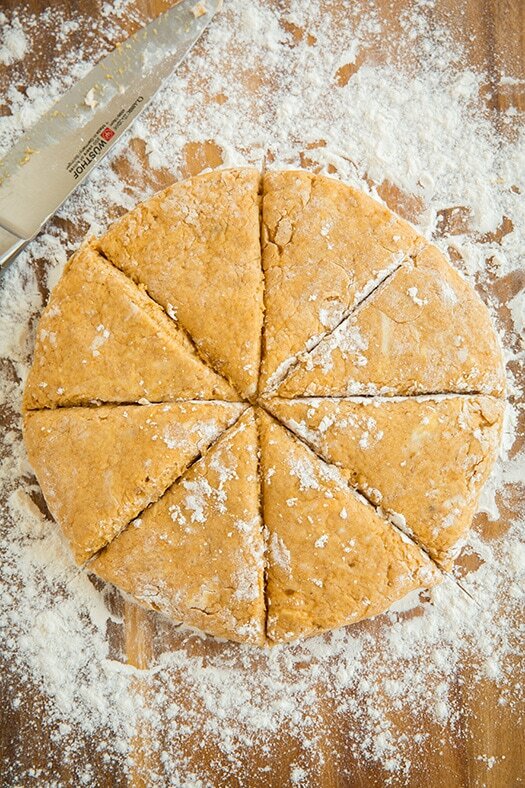 Transfer scones to a Silpat or parchment paper lined baking sheet. 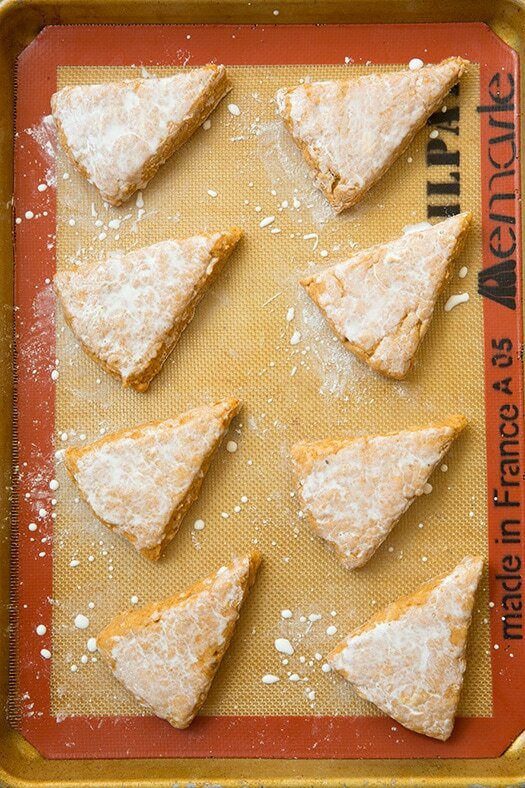 Brush tops with 1 Tbsp half and half then bake in preheated oven 13 - 15 minutes until tops are golden brown and toothpick inserted into center comes out clean. Transfer to a wire rack and cool 10 minutes (no longer) before spreading with glaze.